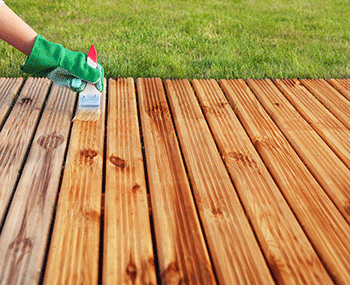 Decks also suffer from a variety of common problems caused by normal wear and tear.Wood becomes loose or cracked. Boards start to give too much, which can result in nasty trips. Handrails start to loosen.The support posts grow old. All of these issues are correctable. When decks are beyond repair, your local handyman will most likely recommend replacement. When this is the case you can trust our professional home repair contractors who specialize in deck installation.